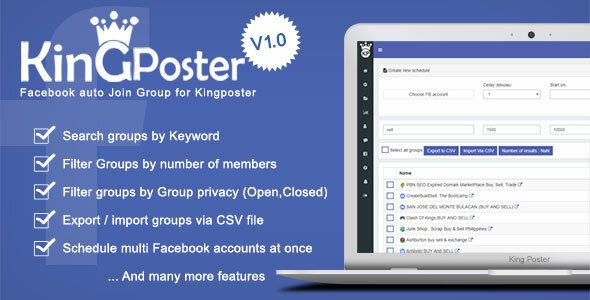 This awesome module allows you to search for by keyword and automatically join groups using multi facebook accounts. it allows you to filter your search as well by Group privacy (Open, Closed) and number of members of the group. you can also Export groups to CSV and Import groups via CSV.